Much of the good work done by SMA in support of Africa over the years has been as a result of the generous donations people have been making through the SMA Missionary Association Cards (MAC). The cards are one way of remembering family or friends in a prayerful way. All prayer petitions are placed before the altar in the SMA Community Chapel in each of the various houses and remembered in that Community’s daily prayers and Mass. 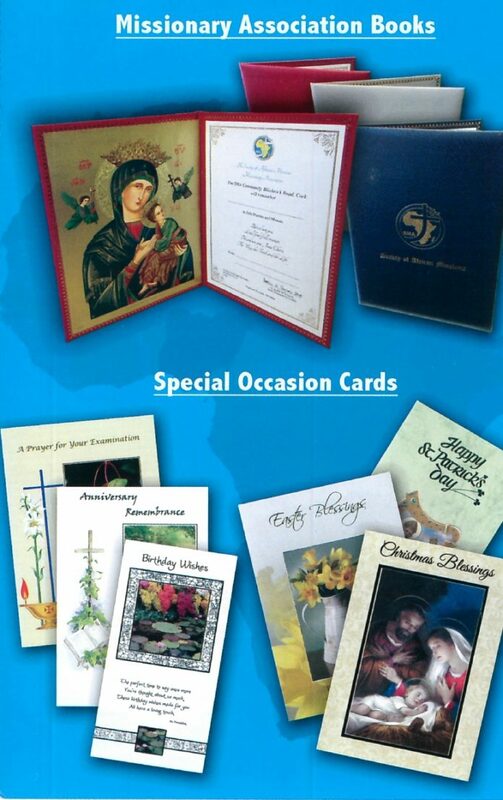 A large selection of cards are available for a variety of occasions in the main office of each house and through promoters. Many promoters are also members of FVC but some of have no other connection with SMA except through the MAC. Promoters return the petitions and donations either by post or in person to the main office in each of the SMA houses. Requests for cards are generally dealt with by phone and post although some promoters visit the offices in person. Many of the cards available are on display in the reception areas of the various houses as well as in the Parish Centre in Wilton, Cork.